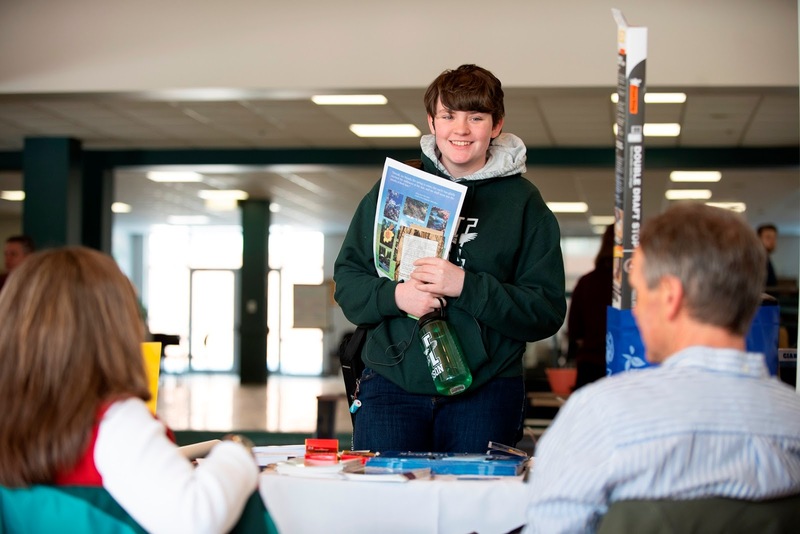 Husson University held its inaugural Green Jobs Fair recently on its Bangor, Maine campus. Organized by AmeriCorps, the job fair provided students and other individuals interested in internships or employment the opportunity to meet with representatives from a variety of environmentally friendly organizations. This was the first time Husson University hosted a Green Jobs Fair. All of its students, regardless of major, were encouraged to participate. A variety of business and volunteer organizations had booths at the event. Representatives from renewable energy, farming, government, environmental monitoring, engineering, management, and other environmental and sustainability-related organizations were present. There was no cost to attend and no need to register in advance, and the event was open to students, veterans, and members of the public. According to projections by the Bureau of Labor Statistics (BLS), occupations related to helping the environment or conserving natural resources will experience some of the strongest job growth over the next decade. Two occupations that the BLS believes will have the fastest employment growth from 2016 to 2026 are solar photovoltaic installers (105-percent increase) and wind turbine service technicians (96-percent increase). “Companies that incorporate environmental stewardship into their business model need to find qualified job applicants, just like other companies," says Dr. Tom Stone, an associate professor who co-directs the Environmental Science program at Husson. “Our Green Jobs Fair was focused on connecting these companies with job applicants who share the same environmental values." For more than 120 years, Husson University has offered undergraduate and graduate degrees with a commitment to delivering affordable classroom, online, and experiential learning opportunities, Husson's Bangor campus and off-campus satellite education centers in Southern Maine, Wells, and Northern Maine, provide programs in business, health and education, pharmacy studies, science humanities, and communication. In addition, the university has an adult learning program. For more information, visit Husson.edu.